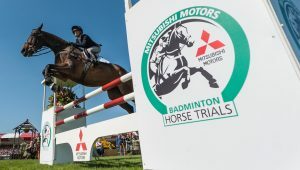 Emerald Green Feeds Brand Ambassador Ros Canter was crowned the Best of British riders at the prestigious Badminton Horse Trials last weekend, taking 5th place. Ros and Allstar B (Alby) had an excellent cross country round on the Saturday leaving her in 7th place overnight however a clear round of show jumping on Sunday meant she crept up into the top 5 and there she remained at the end of the competition. Ros and Allstar B make an unusual but magic combination, Ros was one of the smallest riders at Badminton this year and Allstar B one of the biggest horses yet together they produce great results. Our congratulations go to both Ros and Allstar B for such an amazing achievement.